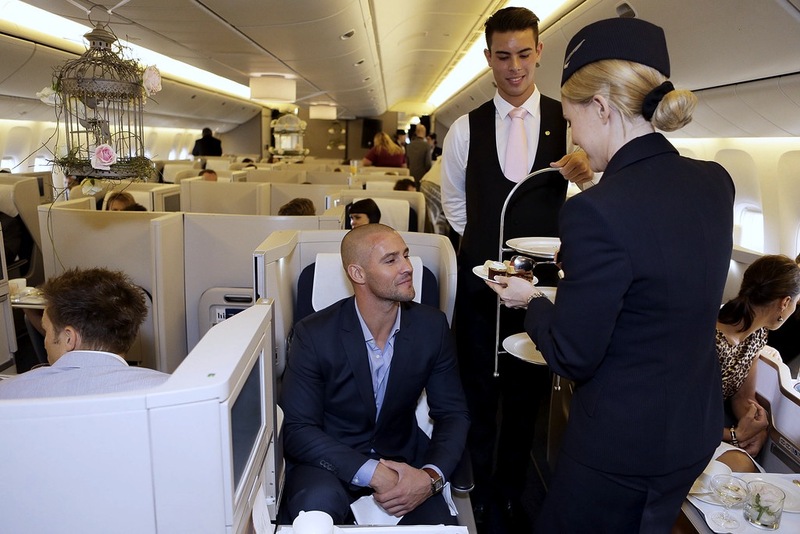 British Airways is celebrating the launch of their latest Boeing 777-300ER and a new home at Heathrow's Terminal 5 for all Sydney to London routes, what better way to kick things off than with high fashion and high tea at high-er altitude. Set on-board their latest aircraft on Sydney's domestic tarmac, we were treated to an oh-so British high tea courtesy of the exclusive Sydney Langham Hotel featuring specially themed treats. We could not have been more spoilt for on-board, in-flight entertainment. Fresh from London Fashion Week PPQ turned the plane into the ultimate runway, showcasing their new AW13 collection along the swanky business class aisles with celebrity model Georgia May Jagger closing the show. Having never been to the airport without having a pre-paid ticket, let alone walked the tarmac like a celebrity, this was the launch of all launches. British Airways really know how to take to the air in style. If you're looking for incredible comfort, quality service and impeccable facilities look no further than British Airways when booking your next escape from reality....shhh, I already have. oh...em...GEE! I DIE!!! this is the most awesome runway show EEEVER!! great photos...and aaah seriously SO SICK!! I am officially living vicariously through you! I WISH I could fly like that! My flights overseas are generally always cramped up in coach! I came across your blog and am your newest follower. I would love if you’d visit me at : the daily savant : and (if you like) follow with GFC and Blog Lovin'!